Do you have a morning routine? How do you feel when your routine gets disrupted, when someone shatters the peace and quiet of your morning? You are going to watch the scene from a famous sitcom “Frasier“. Frasier Crane, a psychiatrist, comes back to his hometown Seattle after his divorce. He is a host of a radio show where he answers the phone calls of the listeners and their questions on air. 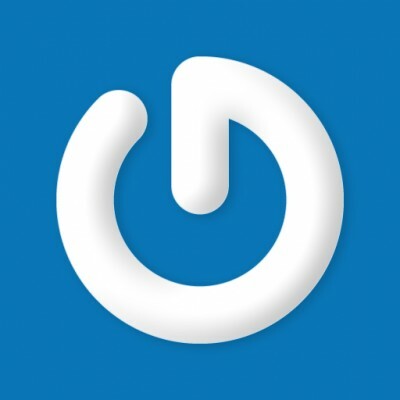 If you can not watch videos on youtube, you can download this clip here. Martin: The half ‘n half’s curdled, and the garbage disposal’s jammed. 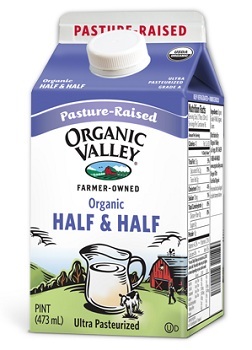 Half-and-half is a blend of equal parts whole milk and light cream. It averages 10 to 12% fat, which is more than milk but less than light cream. Martin: Morning was two hours ago. And close that barn door, we got a lady in the house now. Frasier adjusts his robe, then tastes his coffee. He is not amused. Frasier: Hey, this isn’t my coffee. Where’s my finely-ground Kenya blend from Starbucks? Martin: That’s it. Daphne put an eggshell and some allspice in it. Frasier: [pouring it down the sink] Didn’t that just dress it up? Martin: I like it. Gives it a zing. Now, come on, sit down. Your breakfast is ready. ground dried berry-like fruit of a West Indian allspice tree; suggesting combined flavors of cinnamon cloves, and nutmeg. Frasier: [following] Oh, no, dad, dad, look, all I ever have is a bran muffin, and a touch of yogurt. Frasier: Ah yes, the Crane family specialty. Fried eggs swimming in fat, served in a delightfully hollowed-out piece of white bread. I can almost hear my left ventricle slamming shut as I speak. Frasier: No. I’d like to leave some blood flow for the clot to go swiftly to my brain. The basic components of a standard bran muffin are bran, butter or oil, milk, egg and sugar. Bran is the outer layers of the grain of cereals such as wheat, removed during the process of milling and used as a source of dietary fiber. [to himself] Can’t have my coffee, can’t have my breakfast, [sees Martin’s chair] Oh dear god, it wasn’t a dream. I’ll get him for this. [to Eddie] And his little dog, too. [opens front door] Where’s my paper? Who’s stolen my paper? Mrs. Everly, you old bat, I know it’s you! Daphne: Yoo-hoo? It’s right here, we brought it in for you. Frasier: [to outside world] Sorry, sorry. [closes door and examines paper] Oh, wait a minute, this… where’s the rubber band? This paper has been read. Daphne: Well don’t worry, we won’t tell you what’s in it. Frasier: That is not the point. Dad, dad? Come and sit down please, would you? Daphne: You’re going to give a speech, aren’t you? Frasier: Oh, that’s right, I forgot, you’re psychic. Frasier: Let us get something clear. I am not a morning person. I have to ease into my day slowly. First I have my coffee – sans eggshells or anything else one tends to pick out of the garbage. Then I have a low-fat, high-fiber breakfast. Finally, I sit down and read a crisp, new newspaper. If I am robbed of the richness of my morning routine, I cannot function. My radio show suffers, and like ripples in a pond, so do the many listeners that rely on my advice, to help them through their troubled lives. I’m sorry if this may sound priggish, but I have grown comfortable with this part of myself. It is the magic that is me. Watch the video again. This time pause it after each sentence and repeat it out loud after the speaker copying his sounds and intonation. Practice! Record yourself reading the final Frasier’s speech. Act it out! When I first read your title, I thought your post was about death? And I didn’t mention that I am impressed by your ingenious use of the spoiler widget like this. I would never have thought about using it that way. Thank you again, Teacher Lee. Your words mean a lot to me. Have you heard the song by ‘Free’ called “Mourning Sad Morning“? No, new to me. But such a slooooooow tempo. Too shy for that. But I’ll try oneday. There were many unknown vocabularies in the video. Thank you for your efforts, Diana. Example: He has a large vocabulary. She needs to enlarge her vocabulary. There were many unknown vocabulary words in the video.